Description: If location, comfort, and value are important to you when making a decision about your new home, then come home to Park Edge for luxury apartment style living. 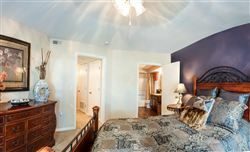 Our sophisticated and unique apartment homes are designed with you in mind. Johnson County's largest park is just outside the door, a short distance from Park Edge with an off leash dog park, fishing, sailing and much more. Being only minutes from The Legends with shopping, dining, and entertainment, Park Edge is your blueprint for value. 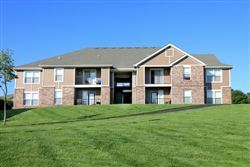 Beautifully landscaped, Park Edge Apartment Homes offers remodeled interior one, two and three bedroom floor plans with great amenities. Each apartment home features all electric kitchens with a breakfast bar, private balconies/patios, extensive closet and storage space, air conditioning, carpeted floors, tile floors in selected units, ceiling fans, washers and dryers and much more! At Park Edge Apartment Homes we offer residents all the living options you need to create a lifestyle you love. Park Edge is a pet friendly community! Prices change daily please contact office for current pricing and availability.